What Is A Risk Assessment And How Do You Perform One? What Is A Risk Assessment And How Do You Perform One? Home / Articles / What is a Risk Assessment? Risk assessments are essential to workplace safety, but what are they exactly? Without a risk assessment, your workplace could well be breaking the law. Yet, the reason you might not have performed a risk assessment might not be because you’re trying to be dangerous. It could simply be because you don’t know what a risk assessment is. So, what is a risk assessment? And how can businesses perform them? What is a risk assessment and what is a safety inspection? A risk assessment is not just a safety inspection. A risk assessment is an evaluation of all the potential dangers in your workplace, followed by a series of planned actions designed to remove, reduce and minimise those risks. Every business in the UK with more than five employees is legally required to perform a risk assessment — from a local bakery to the BBC. 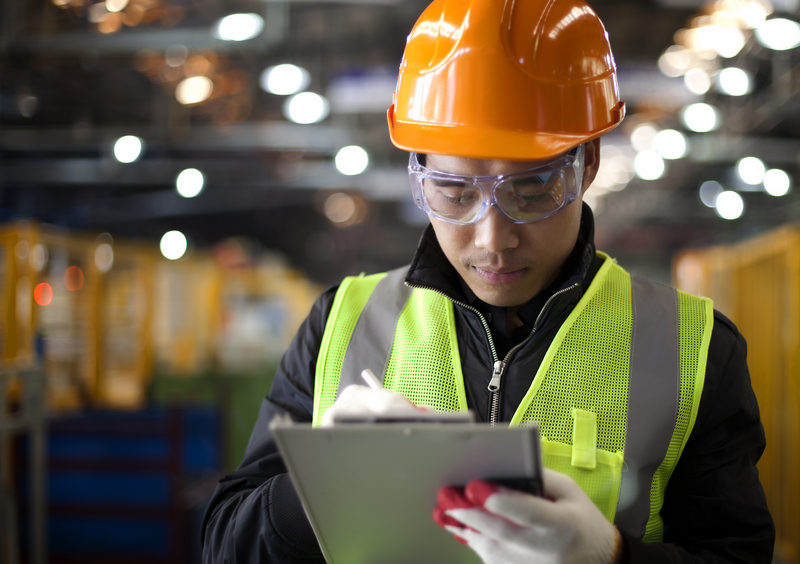 A workplace safety inspection is a different thing entirely, though it’s also important. It involves checking for damage on a specific piece of work equipment and figuring out whether or not that piece of work equipment needs some kind of repair. How is a risk assessment performed? Now that you can answer the question “What is a risk assessment?”, it’s time to actually perform one. A risk assessment involves five simple steps and none of these are designed to create unnecessary paperwork. Rather, the aim is to make your workplace as safe as possible. Some of it might involve common sense, and that’s okay. Apply that common sense to come up with some common sense safety regulations. If you know what is a risk assessment and what is not a risk assessment, the first step should be very obvious. However, just in case, the first stage of a risk assessment is to — well — assess risks. Though, what does that mean in practice? Have a look at your workplace and figure out where accidents could happen. Start by looking at the manufacturers’ recommendations on work equipment and the hazards they highlight. Then, take a look at your injury log book. Seeing how people have been injured in the past gives you a pretty clear idea of what’s dangerous about your workplace. Next, consider some of the non-routine things you do in your workplace. If you have a delivery from a certain company only once every three months, there might be many ways in which you are unprepared for it. Then, consider the long-term health effects of your workplace. A long-term exposure to noise or cold could be a problem for your employees. Your employees will be the first people who come to mind, but certain workers might be in more danger than others. People with pre-existing health conditions, people with disabilities, or pregnant women might be affected by a potential hazard which doesn’t affect the rest of your workforce. Beyond your workforce, there are customers, clients, and even neighbouring businesses or members of the public that could potentially be injured by some of the hazards in your workplace. If they are, you are the one at fault. Once you have identified all the potential dangers in your workplace and who they might endanger, you need to try and remove all of those dangers, but only as much as is reasonably practicable. For example, a set of stairs might have many dangers, so the safest thing to do would be to remove the stairs entirely and replace them with a lift, or do your entire business on one floor. However, doing either of those things would not be reasonable at all. So, consider the reasonable actions you could take instead. You could make sure that no items are stored on the stairs, that people don’t run on the stairs, that there are no wet surfaces on the stairs, and that the stairway is well lit. This sort of thinking needs to run throughout your entire workplace. If it’s possible to remove a risk, remove it. If it’s possible to restrict access to a risk, restrict. If it’s possible to reduce a risk, reduce it. Doing all of the above steps means that you know what is a risk assessment and what is not a risk assessment. That’s great. However, you will need to legally prove that you know what a risk assessment is. In order to do that, you’ll need to record your findings. Although, if you have less than five employees, you will not need to provide proof that you performed a risk assessment in order to stay within the law. For businesses of that size, you are still expected to know what a risk assessment is and to have performed one, but you don’t need to write anything down. If you can prove all of that in a short written risk assessment report (a template for one can be downloaded from HSE) then you will have done enough to perform a risk assessment within the eyes of the law. The final thing to do is to make sure that you review your risk assessment. If anything changes about your workplace (if new employees are hired, new equipment is brought it, or the layout of the workplace changes), make sure that you update your risk assessment accordingly. What is a risk assessment for? A risk assessment is for you, your employees, and anyone else who has any contact with your workplace. It’s for all of you and all of your safety. Contrary to opinion, it’s not for HSE. Yes, if you have more than five employees, the paperwork needs to be there so that HSE can prove you have performed a risk assessment. Yet, that should not mean that you imagine a risk assessment as something which needs to be done for the sake of doing. A risk assessment exists as a record of workplace safety and as a way of guaranteeing that workplace safety is a priority. I have a warehouse. Can you help me with my risk assessment? At Storage Equipment Experts, we offer SEMA approved racking inspections and racking inspection training for businesses across the whole of the UK and Ireland. If you want your staff to have the skills to help you with your warehouse’s risk assessment, our racking inspection training course will give them the tools they need to identify all of the hazards associated with storage equipment and what they can do about those hazards. What’s more, our SEMA approved racking inspections can also help to identify all of the hazards associated with storage equipment and what they can do about those hazards. This service consists of a visit from a SEMA approved racking inspector and is a service recommended by HSE once every 12 months. In short, our racking inspection services can help you with your risk assessment. So, if you don’t know where to begin, contact us today for a FREE consultation about our racking inspection services.